I’ve been hankering after curry for a week now, not just any old curry, but recipes cooked from the Indian section of Charmaine Solomon’s Complete Asian Cookbook, recipes that are old family favourites. I thought my will was strong when I chose to prepare the Indonesian Squid Curry for my contribution to the Cookbook Guru, but tastebud anticipation have got the better of me, and it was with great satisfaction that I prepared this curry feast. To accompany the egg curry made just as Leah had prepared it, I made the dry bean curry, and a pot of potato and pea dry curry. I also made a carrot pilau, minus the cashews. It was a delicious meal, not glamorous or sophisticated, but a meal that spoke to me of India. 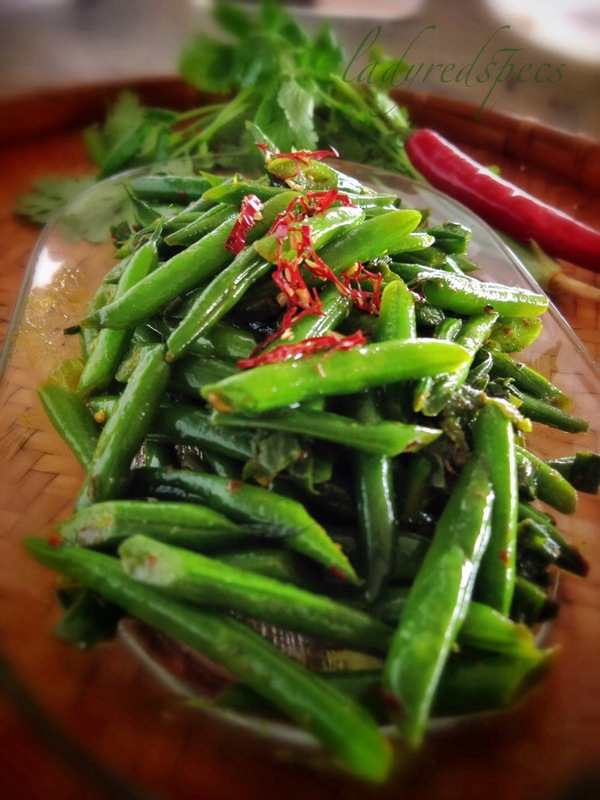 Simple vegetables, judicious spicing, quick cooking. A shining example of food prepared from recipes that are imbued with love and care. Charmaine Solomon deserves her place in the annals of Australian cooking history. The continuing reprints of this wonderful tome “the Complete Asian Cookbook” are testament to her worth. I especially love leftovers from a meal like this. They get gobbled up for breakfast, a guilty pleasure rendolent of wonderful times travelling in India. I have modified the recipes a little to accomodate my intolerance of onion. Top, tail and halve the beans. Heat the oil, then sizzle the spices. Add the beans, spring onion, salt and stock. Stir the beans thoroughly to coat them in oil, then lower the heat, cover and cook until just tender, about 5 minutes, shaking the pan frequently. Heat the oil, add the panch phora and fry until the seeds begin to brown. Add the ginger and herbs, stir then add the chilli, turmeric and salt. Sizzle for another minute then add the potatoes, peas and water. Stir to coat the potatoes in spice then cover tightly and cook over a low heat until the potatoes are tender, 15-20 minutes. Shake to pan frequently to discourage the potatoes sticking. Add the spring onion greens, lemon juice and garam masala, cook for 5 minutes longer then serve. 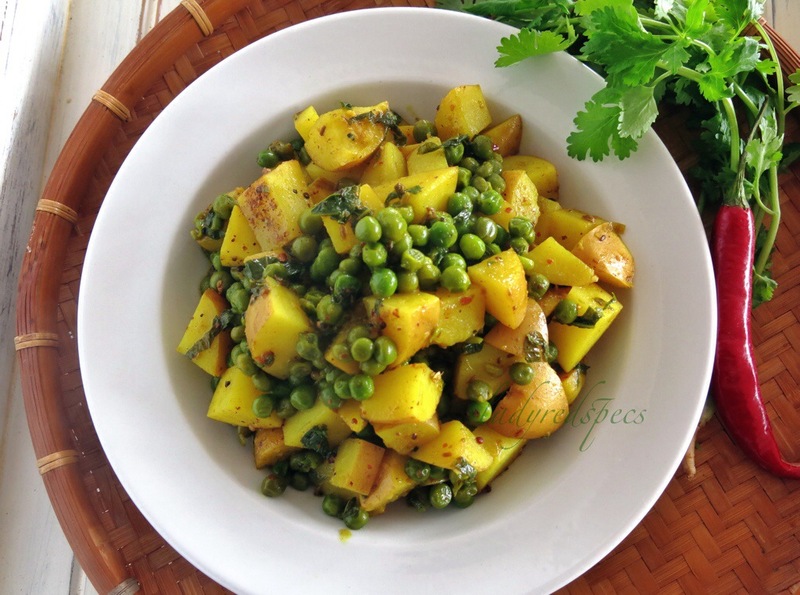 That potato pea curry has my name written all over it! I know I shall be trying this very soon. It’s a dish I make at least every other month, we love it! Whether it’s food or photography, both dishes look very appealing. I’ve a few dishes like these and return to them again and again. If they’re tasty and you enjoy them, why not? It’s like sharing a meal with old friends! We made the potato curry, with our own modifications of some carrot and chicken and both loved it! In fact after 2 bowls each the left over lunch I was hoping for was gone at dinner. Thank you for the inspiration. Thanks for these recipes, I was reading of how Charmaine Solomon cane to Australia and got into the food industry, it was a really interesting story! Yes, as Aussies we’re so lucky to have the influence of the whole world’s cultures on what we eat, an amazing people who are passionate about their heritage and food, who are willing to help us all learn. I’m so happy Lady Red Specs capitulated on resisting the Indian section of Charmaine Solomon’s The Complete Asian Cookbook. I LOVE the potato curry that she has made here and know it was a firm family favourite at our dinner table when I was living at home. Make sure you check it out. So easy to make it might just be tonight’s dinner! Ahhhh, I am not the only one to revert to the tried and true. Yeah, it makes dinner a bit predictable, but when you have found a dish you really enjoy, the memory lingers and you want it again and again. No harm in that! 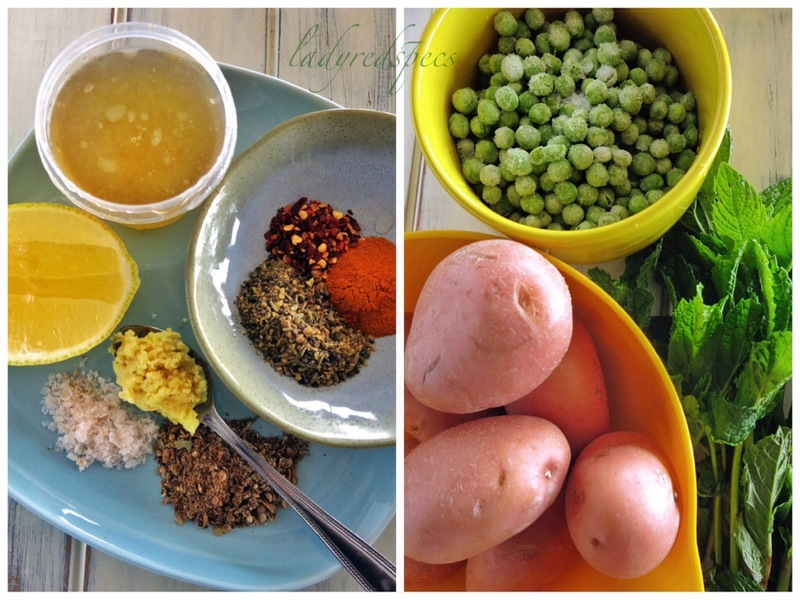 This entry was posted on February 16, 2014 by ladyredspecs in Food, Gluten Free, Indian Food, Light Savoury Dishes, Main Meals, Side Dishes & Salads, The Cookbook Guru, Vegetarian and tagged beans, Charmaine Solomon, cookbook guru, gluten free, indian, peas, potato, the Complete Asian Cookbook, vegetarian.